This agreement is concluded between the Lender and the Borrower. 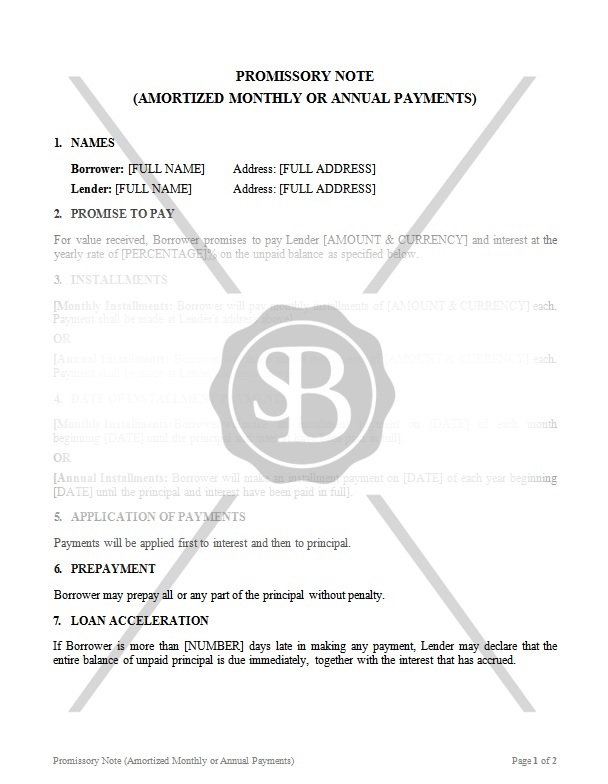 For value received, Borrower promises to pay Lender certain sums of money on monthly or annual basis. The Agreement sets out terms and conditions of such repayments.